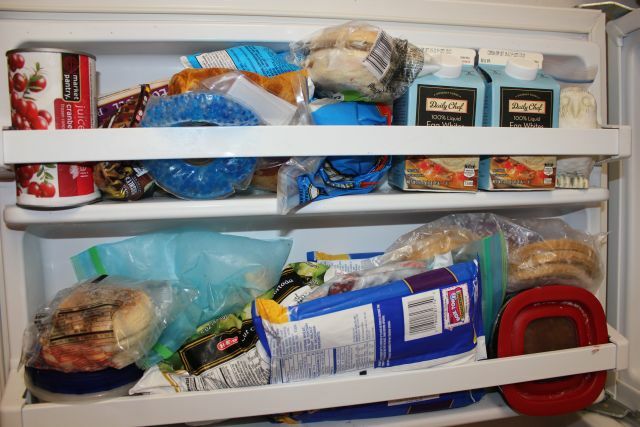 As you can see from the picture above we were having a major freezer crises! I can’t tell you how many times I have gotten so angry dealing with this freezer that I have thrown everything across the kitchen then just sat down on the floor and cried... yes it was that bad. My poor husband would come into the kitchen and scoop me up and pick up my pieces and my mess! As you can see below we didn't have an extra inch to spare. 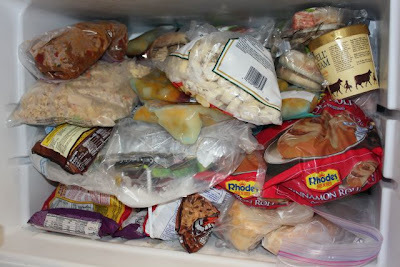 I always had to pass up great freezer deals at the store because we were simply out of room. After my last freezer meltdown he suggested we get a large standalone freezer. I couldn’t help but get excited about this idea!! I big freezer and not having to deal with this freezer! Wahoo let’s get shopping!! 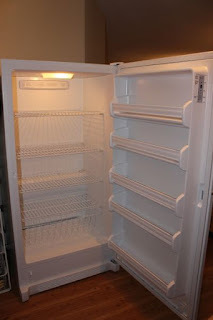 After an afternoon of looking around we found our new freezer and the next day it was delivered. I was thrilled… look how big it is! It was the biggest freezer I could find. Finally no more fighting the freezer!! Haha little freezer take that! 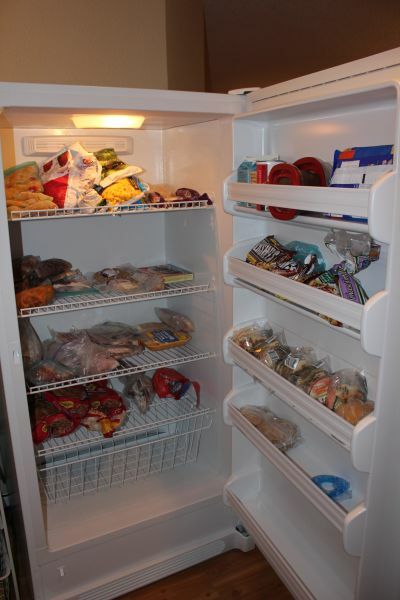 I moved everything over from my little freezer to the big one and look how much room I have. Let’s fill it up!! 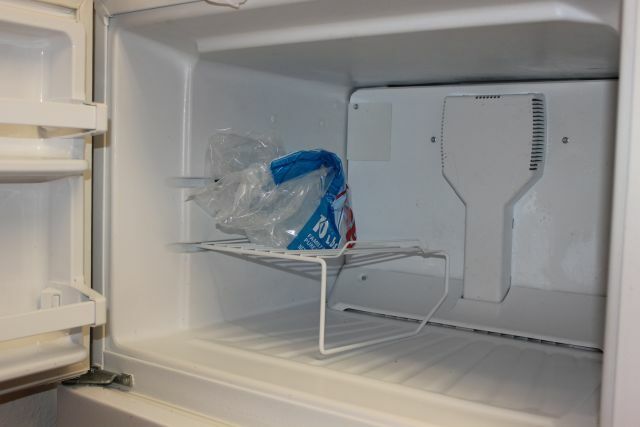 Now look at this nice empty little freezer that will only be used to hold ice. 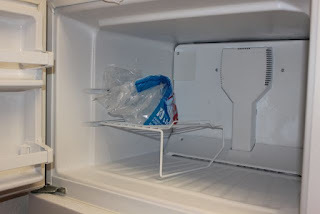 By the way the little freezer now has three full bags of ice in it... I love that! It's been great being able to buy extra freezer items and not have to worry if they are going to fit or not! ... happiness is an empty and full freezer. Moist Roasted Turkey ..... Turkey Perfection! Canned Verses Homemade... Which One Is Cheaper?